In this chapter we prove the main results as described in the introduction. To do so, we use results proved in previous chapters, and an additional new idea: The computation of Z(s,W) for W a Hecke eigenvector in a generic representation at the minimal paramodular level. The formula expresses Z(s,W) in terms of Hecke eigenvalues and W(1), and has multiple applications. One application is the completion of the proof of uniqueness at the minimal paramodular level and the computation of Hecke eigenvalues in the remaining open cases. 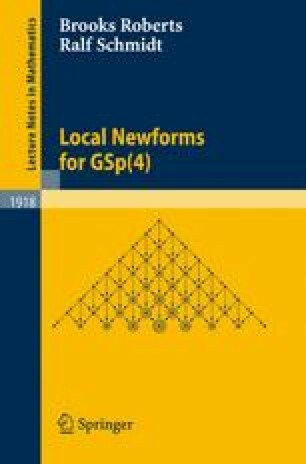 Uniqueness was previously proved for non-supercuspidal representations; see Theorem 5.6.1. Another application is the computation of L(s, π) in terms of the basic invariants of the newform, namely the level, the Atkin– Lehner eigenvalue, and the Hecke eigenvalues; furthermore, this formula for L(s, π) for generic π motivates the formula for L(s, ϕπ) for non-generic π, where ϕπ is the L-parameter of π.